In the winter of 1807, a ship loaded with gunpowder exploded in downtown Leiden, transforming the elegant neighborhood of Rapenburg into a ruin. 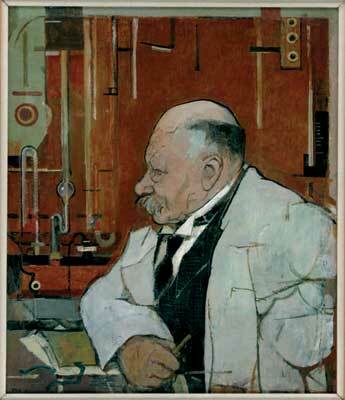 "De Ruïne" had been bare for half a century, when the University decided to erect a new science laboratory there. The lab that came from this explosion housed a generation of physicists that created an equally explosive growth of physics in Holland. 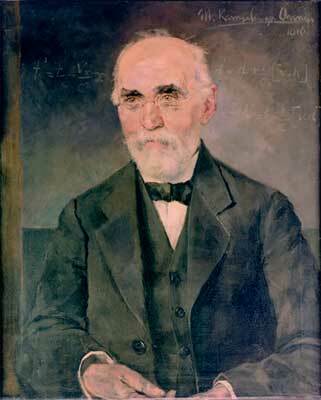 Four Nobelprize winners within a decade: Lorentz (1902), Zeeman (1902), Van der Waals (1910), and Kamerlingh Onnes (1913). 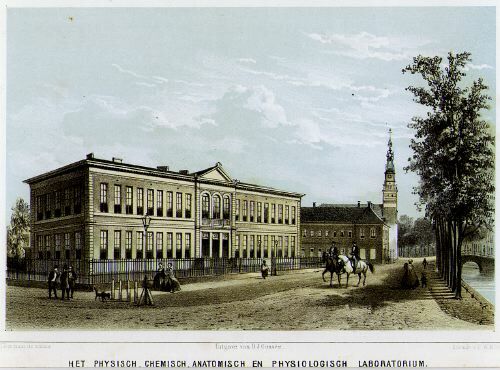 The physics lab on Rapenburg was named the Kamerlingh Onnes Laboratory in 1932. It has remained in use until 1998 and is now home to the law faculty. These four professors stand at the base of the PhD family tree of many present-day Dutch physicists. The lineage of my colleague Van Leeuwen includes Lorentz and Van der Waals. My own lineage includes Kamerlingh Onnes and Zeeman. The list of physics professors in Leiden includes a few notable entries before these four giants appeared, but not at the same level - so that one can truly speak of a physics 'explosion'. A curiosity: Hendrik Lorentz and Heike Kamerlingh Onnes [shown above in paintings by Heike's brother Menso (left) and nephew Harm (right)] share a genealogical family tree (most likely they never knew).